A Manhattan judge said she will allow the NYPD’s “stop-and-frisk” program to go on in the Bronx until she comes up with a solution to prevent police officers from violating the rights of their subjects. 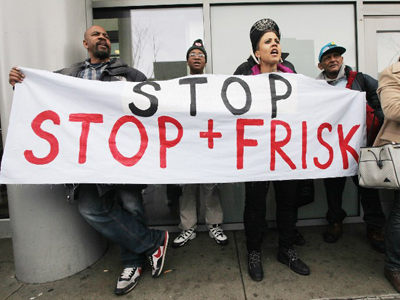 Manhattan federal Judge Shira Sheindlin on Tuesday lifted an order to stop the program after agreeing with city lawyers who argued that ending the stop-and-frisk program would be a burden on the New York Police Department. The lawyers said that if the program were brought to an end in the Bronx, thousands of NYPD officers and their supervisors would have to be retrained to figure out how to halt trespassers outside the borough’s “Clean Halls” buildings without acting unconstitutionally. The case will go to trial on March 18, but until then, the NYPD will be able to continue using the stop-and-frisk program in the Bronx to prevent suspicious-looking people from trespassing onto the grounds of public housing. The judge said that if she were to stop the program immediately, then “a certain number of unconstitutional stops are likely to take place that would not have taken place in the absence of a stay,” which could lead to further lawsuits against the NYPD. “On the other hand, allowing a longstanding unconstitutional practice to persist for a few months while the parties present arguments regarding the appropriate scope of a remedy is quite distinct from allowing such a practice to persist until the competition of a trial,” she said. The judge initially ordered a halt to the trespass stops outside the Bronx “Clean Halls” on Jan. 8, but will once again allow them until she decides on the measures required to prevent unconstitutional human rights violations ahead of the upcoming trial. 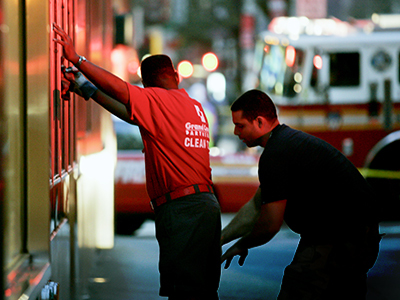 The stop-and-frisk program allows officers of the NYPD to stop and search any person they suspect of criminal activity. Most of the people who were stopped and frisked under the program have been African-American or Hispanic, prompting concerns over racial profiling. The stop-and-frisk program came under intense scrutiny in mid-2012, when thousands of people marched in opposition to the policy on June 17. Protesters also released a number of videos of police stopping minorities for their activism. 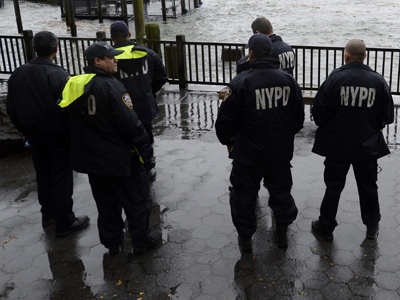 Even some NYPD officers have expressed opposition to the program, which they believe encourages their fellow officers to exercise too much power and create heated tensions between them and their subjects. In 2011, 684,330 people were stopped and questioned by the NYPD, which is a 600 percent increase from the year 2002. Of those stopped in 2011, 87 percent were African American or Latino. The NYPD has argued that their program reduces crime, but only 12 percent of those stopped in 2011 were found violating the law and received summons. Allowing the stop-and-frisk program to continue in the Bronx will subject more New Yorkers to police stops and interrogations, nearly 90 percent of which involve innocent people and 87 percent of which involve African-Americans or Latinos.